§1. Herodotus narrates that after taking captive many Chalcidians and Boeotians in 506 BCE, the Athenians eventually released those prisoners for a ransom of two minae per person. They used a tithe of the ransom to dedicate a bronze chariot with four horses to Athena. The sculptural group was placed on the Acropolis and accompanied by an epigram (Herodotus 5.77.2–4). Fragments of that Archaic inscription were recovered by archaeologists; in fact, two copies of the inscription were found. Figure 1. Athenian dedication for a victory over the Chalcidians and the Boeotians, IG I3 501A. Drawn by Natasha Bershadsky. §2. Greg Anderson has observed similarities between the language of the epigram and Homeric diction. Most interestingly, παῖδες Ἀθηναίων ‘children of the Athenians’ recalls κοῦροι Ἀθηναίων ‘sons of the Athenians’ in Iliad 2.551. Anderson has suggested that the four-horse chariot elicited heroic, and in particular Homeric, connotations, linking the victory of the Athenians with exploits of their illustrious ancestors. Several other researchers have proposed that the chariot rather conjured up an image of an athletic victory, used for the first time as a memorial of a military triumph. I believe that in light of the previous discussion, we can now see a convergence of these two themes, heroic and athletic, precisely in the context of the myths and rituals of the Lelantine War. If I am correct in suggesting that chariots played a significant role in these myths and rituals, then the language of the Athenian dedication was far more specific than merely an evocation of a generalized heroic or athletic athmosphere. The Athenian victory was commemorated by the image that can be perceived as the proudest emblem of the aristocratic, archaizing, chariot-driving Chalcidian and Boeotian losers, who, to add insult to injury, were also made to sponsor that monument. The Athenians inscribed their very real confrontation with the Boeotians and Chalcidians into the tradition of ritualized strife for the Lelantine plain and, posing as the new hippobotai, portrayed themselves as victors in that everlasting conflict. We know from Theognis’ poem that the Lelantine plain was laid waste by the Athenians (Theognis 892); their bronze chariot marked the cessation of all chariot contests over the Plain. The Athenians were not simply victors; they were to be the ultimate victors. §3. But there is more to it. The endings of the epigram’s first and second verses, ὕβριν and ἔργμασιν ἐν πολέμου, resemble Hesiod’s description of the Bronze Generation: οἷσιν Ἄρηος / ἔργ’ ἔμελε στονόεντα καὶ ὕβριες ‘for whom woeful works of Ares and deeds of hubris were the objects of care’ (Works and Days 145–146). I propose that the similarity is intentional and pivotal: the implication is that the defeated enemies of the Athenians are Bronze-Generation-like characters, fixated on hubristic military pursuits. Δαμάσαντες ‘having overcome,’ the ending of the epigram’s third verse, matches δαμέντες (‘overpowered,’ Works and Days 152), describing the self-destruction of the Bronze Generation. However, the clinching bit of evidence is the pair of words σιδηρέῳ–Χαλκιδέων in similar positions in the first and third verses. The mention of iron activates the connection of Χαλκιδέων with bronze, as well as with the Bronze Generation. The connection between σιδηρέῳ and Χαλκιδέων was emphasized by their visual juxtaposition. Χαλκιδέων is reconstructed to be nearly exactly under σιδηρέῳ in the first version of the inscription: ΙΔΕ in ΣΙΔΕΡΕΟΙ and ΙΔΕ in ΧΑΛΚΙΔΕΟΝ are offset by just one letter. In the second version, the two words must have been perfectly aligned vertically, with the two sequences ΕΟ one above the other. (Both inscriptions rendered each two verses of the epigram as a single line). §4. It appears then that the epigram taunts the defeated enemies of Athens by making a travesty of the Boeotian Hesiod’s myth of the races: the mock-Bronze-Generation Chalcidian aristocrats are relegated to the dire Age-of-Iron existence in their iron bonds for their hubris—the word that stared at the viewer from the center of the inscription’s top line (fig. 1). §5. The assimilation of the Chalcidian hippobotai to the Bronze Generation is so witty and cruel because the hippobotai espoused a view of the primordial past largely isomorphic to Hesiod’s Bronze generation. They envisaged the Euboean Age of Bronze, in which bronze-clad Curetes fought each other to extinction in battles for the Lelantine plain. The hippobotai reenacted the struggles of the Curetes in ritual confrontations with the Eretrian hippeis; they notionally became the Curetes on those occasions; and yet, the non-lethal ritual simultaneously reinforced the differences between the savage Bronze warriors and the self-restrained Euboean aristocrats. The Athenian taunt collapses these crucial distinctions, flinging the Chalcidians into their brutal Bronze past. §6. Herodotus interprets the Athenian success as a primal demonstration of a military value of equality (isēgoria), acquired by the Athenians after their liberation from the tyrants, and as the beginning of Athenian supremacy. The question whether this judgment was at some point a part of the Athenian polis tradition is beyond the scope of this paper. The Athenians evidently considered the memorial of their victory quite important, since they chose to re-erect it at some point in the middle of the fifth century, after the original was destroyed by the Persians in 480 BCE. That was when the inscription was modified: the first and the third verses changed places, so that the new version (seen by Herodotus) began with the mention of the Boeotians and the Chalcidians. By that time the traditions concerning the Bronze warriors of the Lelantine plain must have faded considerably, and the gibe about the bronze Chalcidians in irons perhaps lost some of its point. The second version, foregrounding the names of the people defeated by Athens, appears more straightforward and less evocative. But when we return to the subtext of the original bronze chariot, set up soon after the victory of 506 BCE, we can appreciate the skill with which the Athenians broke down their enemies’ myths, channeling the energy of the celebrated traditions of the Lelantine war into creating a new narrative for the glory of Athens. Anderson, Greg. 2003. The Athenian Experiment: Building an Imagined Political Community in Ancient Attica, 508–490 B.C. Ann Arbor. Aravantinos, Vassilis L. 2006. “A New Inscribed Kioniskos from Thebes.” The Annual of the British School at Athens 101:369–377. Beck, Hans. 2014. “Ethnic Identity and Integration in Boeotia: The Evidence of the Inscriptions (6th and 5th Centuries BC).” In The Epigraphy and History of Boeotia: New Finds, New Prospects, ed. Nikolaos Papazarkadas, 19–44. Leiden. Berti, Stefano. 2010. “La dedica degli Ateniesi per la vittoria su Beoti e Calcidesi del 506 a.c. (IG I³ 501) e la data del suo ripristino.” Aevum 84:7–40. Crowther, Nigel. 1991. “The Apobates Reconsidered (Demosthenes lxi 23-9).” Journal of Hellenic Studies 111:174–176. Day, Joseph W. 2010. Archaic Greek Epigram and Dedication: Representation and Reperformance. Cambridge. Kaczko, Sara. 2016. Archaic and Classical Attic Dedicatory Epigrams. Berlin. Keesling, Catherine M. 2003. “Rereading the Acropolis Dedications.” In Lettered Attica: A Day of Attic Epigraphy, ed. David Jordanand John Traill, 41–54. Toronto. ———. 2010. “The Callimachus Monument on the Athenian Acropolis (CEG 256) and Athenian Commemoration of the Persian Wars.” In Archaic and Classical Greek Epigram, ed. Manuel Baumbach, Andrej Petrovic and Ivana Petrovic, 100–130, 404–427. Cambridge. Lateiner, Donald. 2013. “Herodotean Historiographical Patterning: ‘The Constitutional Debate.’” In Herodotus. Vol. 1, Herodotus and the Narrative of the Past, ed. Rosaria Vignolo Munson, 194–211. Oxford. Mackil, Emily. 2013. Creating a Common Polity: Religion, Economy, and Politics in the Making of the Greek Koinon. Berkeley. Manville, Philip Brook. 2014. The Origins of Citizenship in Ancient Athens. Princeton. Mattingly, Harold B. 1996. The Athenian Empire Restored: Epigraphic and Historical Studies. Ann Arbor. Mele, Alfonso. 1981. “I Ciclopi, Calcodonte e la metallurgia calcidese.” In Nouvelle contribution à l’étude de la société et de la colonisation eubéennes, 9–34. Naples. Meyer, Elizabeth A. 2013. 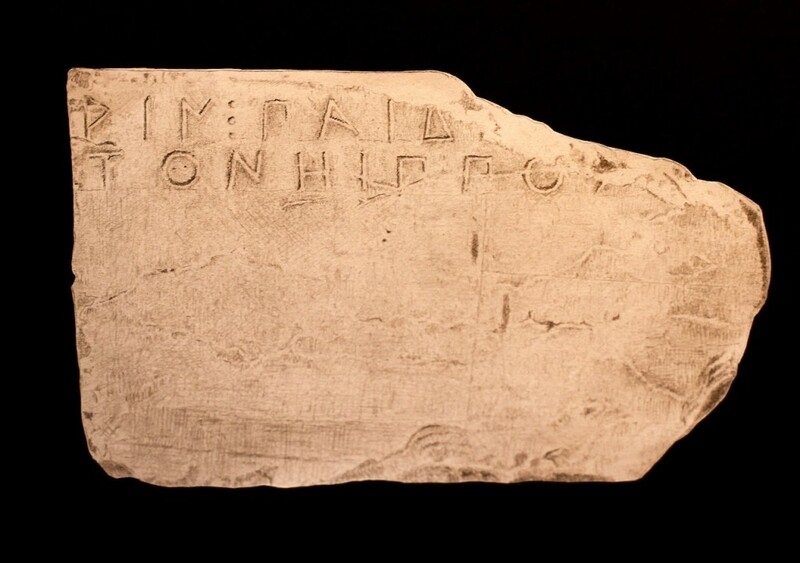 “Inscriptions as Honors and the Athenian Epigraphic Habit.” Historia 62:453–505. Papazarkadas, Nikolaos. 2011. Sacred and Public Land in Ancient Athens. Oxford. Petrovic, Andrej. 2007. Kommentar zu den Simonideischen Versinschriften. Leiden. Raubitschek, A. E. 1949. Dedications from the Athenian Akropolis. Cambridge, MA. Thomas, Rosalind. 1989. Oral Tradition and Written Record in Classical Athens. Cambridge. For discussion of the two versions of the inscription with further references, see Petrovic 2007:209–22; Berti 2010; Kaczko 2016:1–17. Anderson 2003:156–157. Kaczko 2016:13 lists several poetic forms: δαμάζω+acc.+dative, ἔθνεα, ἔργμα, σιδήρεος. Keesling 2010:124; Day 2010:199; Meyer 2013:465–466. The Boeotians had their own chariot-driving traditions, as is indicated by the reference to the Theban three hundred ἡνίοχοι καὶ παραβάται in Diodorus Siculus 12.70.1. The Thebans’ prominence in the attack is obvious from Herodotus 5.79. On the Theban dedicatory epigram, pertaining to the same events, and apparently representing them as a success for Thebes, see Aravantinos 2006; Berti 2010:17–19; Mackil 2013:412–414; Beck 2014:25–27. Harpocration s. v. ἀποβάτης claims, on the authority of Theophrastus’ Laws, that the apobatic games were practiced only by the Athenians and the Boeotians; we have epigraphical evidence of the contest at the Amphiaraia in Oropus. Crowther 1991:175n15. Petrovic 2007:216 argues that since δαμάζω is used for taming horses, its application to the Boeotians and Chalcidians, masters of horsemanship, is sarcastic. Aelian also reports that the Athenians dedicated sacred precincts to Athena at the site called Lēlanton after their subjugation of the Chalcidians (Aelian Varia Historia 6.1). It is not clear to what episode Aelian refers, since the Chalcidian hippobotai were attacked by the Athenians on several occasions (for example, in 446/5 BCE; see Plutarch Pericles 23.2); perhaps the passage conflates a number of events. See Mattingly 1996:65; Papazarkadas 2011:20n17 for a compressed discussion of the dating controversy with further references. Irrespective of the precise dating, the parallel between the Athenian dedication of the bronze quadriga to Athena and their installment of their goddess at Lēlanton is noteworthy. I have identified Lēlanton as the very heart of the Lelantine plain, the territory ritually contested between the Eretrian and Chalcidian elites. Bershadsky 2013:140; Bershadsky 2018. Walker 2004:261 describes the Athenian confrontation with the Chalcidians and the Boeotians as the last battle of the Lelantine War. Petrovic 2007:216, notes that ἔργμα is found twice in Hesiod (Theogony 823, Works and Days 801); it is not used in the Iliad or the Odyssey. Compare the observation of Petrovic 2007:217 that the Boeotians and the Chalcidians are represented as an elementary force. Kaczko 2016:7 notes the “uncommon and sophisticated word order” of the epigram’s first line. See Raubitschek 1949:193, 202 for the reconstructions, reproduced in Keesling 2003:50. Interestingly, δεσμῷ ἐν ἀχνυόεντι also finds a parallel in the Theogony’s description of the confinement of the Hundred-Handers, who are bound with a strong bond (ἐνὶ δεσμῷ, Theogony 618) and grief-stricken (ἀχνύμενοι, Theogony 623). Remarkably, the first of the Hundred-Handers on the list is Obriareus (Theogony 617), that is, Briareus, who was worshipped on Euboea, according to Solinus 11.16; Hesychius s.v. τιτανίδα; Arrian F 35 Roos ap. Eustathius 1.190.37–39 on Iliad 1.401–404. On Briareus’ connection to Euboea see Mele 1981:19–20, Bershadsky 2013:78–79. Bershadsky 2013:80–85, 110–111; Bershadsky 2018. The theme of the military superiority of free people recurs in the Histories. Lateiner 2013:2006. On Herodotus’ isēgoria, see Manville 2014:204–205n146 with further references. On the complicated concept of polis tradition, see Thomas 1989:196–200.